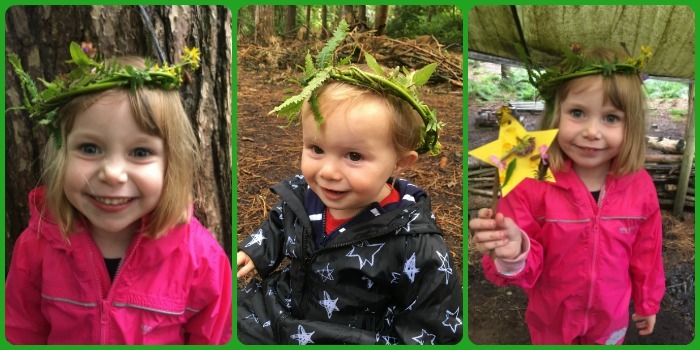 We went hunting for Forest Fairies with Forest Explorers in Delamere Forest, in the pouring rain! There were lots of tasks to do and these started straight away as the children were all given bark plates to collect items to offer to the fairies. 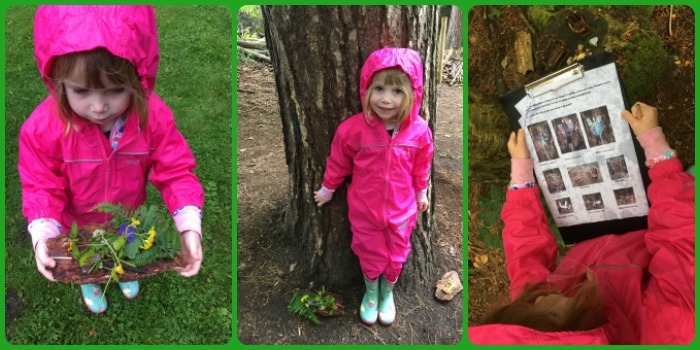 The items Little Miss A found included a variety of different small flowers, feathers and leaves. Once we arrived in the woods, there was a Trail set by the Fairies to follow. 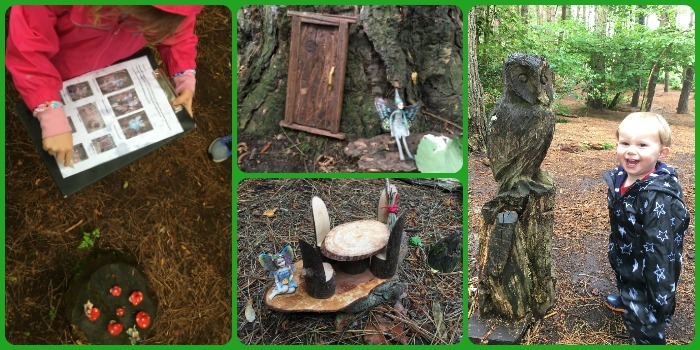 This took the children around to find some of the fairies along with various items like little fairy doors, signs, furniture etc. They had a checklist to tick off what they found. Next it was time to make fairy crowns and wands. Using some of the materials collected earlier on the bark plates, we decorated Little Miss A's crown and wand. Finally, the children were set the challenge of making a small fairy house somewhere in the wood. Some of these were really impressive. Our efforts were a bit rubbish but then I had to keep a close eye on Master R who had found the biggest puddle to splash around in. He threw a strop every time I tried to get him out! He had been couped up in his pushchair under the raincover for most of the morning so I let him just get on with it. Everything (including him) is washable!! The weather really wasn't on our side as it was absolutely chucking it down with rain for our morning. Just when we thought it was easing off, it poured down more so we moved to the forest shelter. We really needed some proper fairy magic to stop it raining and surprisingly, right at the end it did stop raining. It was a really well organised activity morning. The weather didn't stop us from doing any of the activities and Little Miss A enjoyed it. Forest Explorers host various family events in the school holidays so it's worth keeping an eye on their Facebook page for details.